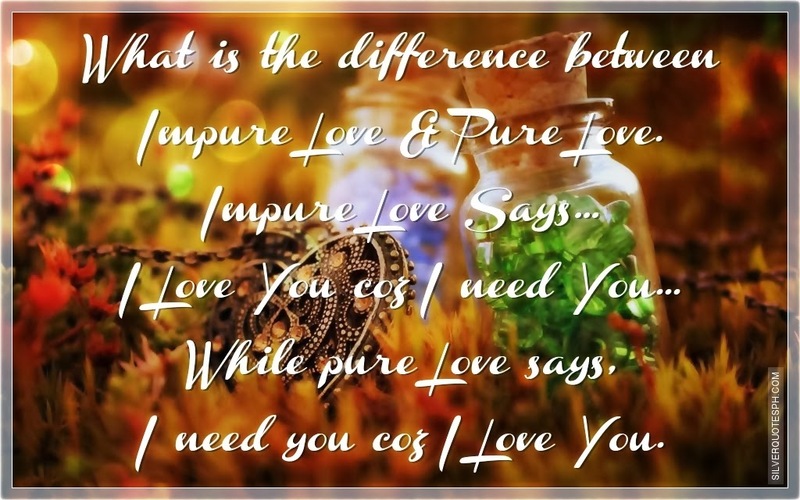 What is the difference between Impure Love & Pure Love. Impure Love Says... I Love You coz I need You..., While pure Love says, I need you coz I Love You.